This is a one of a kind, in rich brown stain, only ONE of this one made! 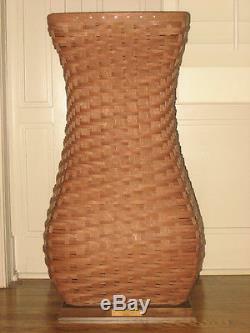 Perfect item for the longaberger collector that has everything! The base has a brass tag that says " Longaberger National Sales Award Top Sales". Don't miss out on this one in a lifetime chance to get a Longaberger basket that is truly a one of a kind, one made! 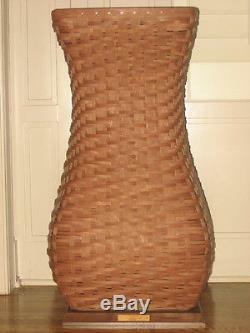 The item "Longaberger RARE One of a Kind 2009 Top Seller Basket LARGE VASE with base AWARD" is in sale since Sunday, November 13, 2011. This item is in the category "Collectibles\Decorative Collectibles\Decorative Collectible Brands\Longaberger\Baskets\Mixed Lots". The seller is "bsktstuf" and is located in Leawood, Kansas.